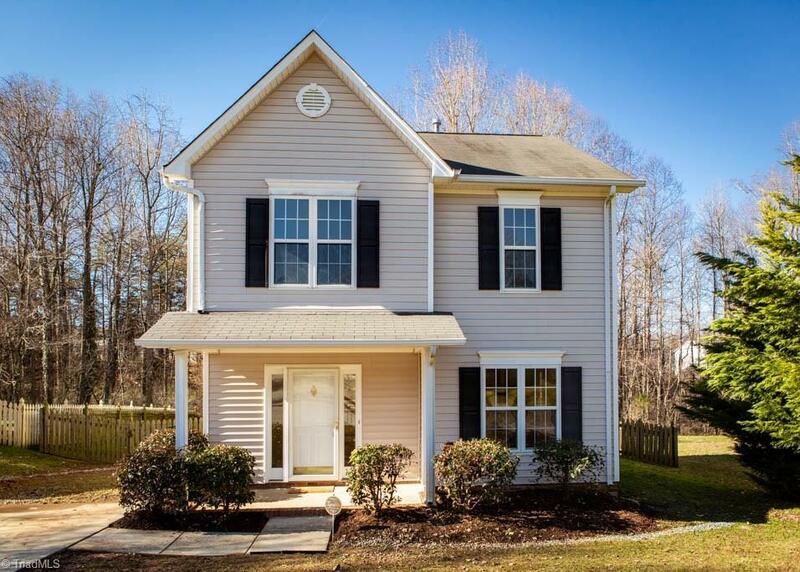 Move-in ready, freshly painted 2-story home with open living/dining area with great natural light. Kitchen has new flooring, dishwasher, and refrigerator with plenty of room to add an island. All bedrooms are upstairs which includes a master suite with walk-in closet. Separate laundry room upstairs and new carpet installed. Deck off the dining area and back yard is fenced in.